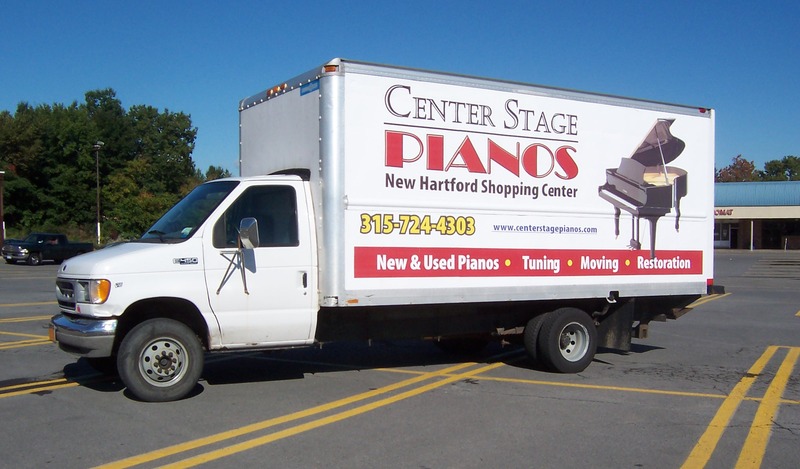 Center Stage Pianos is fully insured and has the experience to move any type of piano. Whether you are looking to move your piano across town, across the state, across the country, or across the world (Yes, we’ve even shipped a piano to Japan! ), we will make sure your piano is safely delivered to its destination. The exact addresses of where the piano will be picked up from and where it will be delivered to. Is the piano located on a first, second or basement floor and will it be moved to a first, second or basement floor? What entrance will be used at each location of the move? Do either of the entrances have stairs and if so, how many? Could a moving truck be driven up to the entrance? If not, what are the conditions of the walkway to the entrance from the driveway? What other conditions might affect the ability to move the piano such as obstacles with in the room where the piano will be moved, narrow hallways or any other concerns? Is there any tile that the piano will be moved over? If so, this requires some extra procedures so as not to damage the floors. You should also take into consideration the weather for the time of year you will be moving the piano. If you live in an area subject to conditions like snow, walkways and driveways should be clear of excess ice and snow.